Tottenham have managed to keep hold of the bulk of their squad this summer, with the exception of Kyle Walker leaving for Manchester City. Doubts remain over Danny Rose’s long-term future after his Sun interview, but other than that, the exodus that many were predicting because of the club’s strict wage policy hasn’t materialised. Eric Dier was one player heavily linked with a move away, with the Manchester Evening News reporting he was interested in a move to Manchester United before they signed Nemanja Matic in central midfield. Spurs were adamant that the England international was not for sale, and he seems to have quickly put any ideas of a move away to bed. “I think it’s best if footballers worry about playing football,” he said, quoted by the M.E.N. Dier found a new role on the right side of a back three last season, but he could now find himself struggling for game time following the arrival of club record signing Davinson Sanchez from Ajax. He has already been ousted from midfield by Victor Wanyama and Mousa Dembele, but Mauricio Pochettino will already have one eye on who can succeed the latter because of his age and injury problems. Spurs have about seven positions in defence and midfield to fill from the start of a match, and may then bring on substitutes at various points. I don’t think anyone has ousted anyone at Tottenham but the squad has been reinforced. The sixteen often-played names last season now have reinforcements who have been signed in recent weeks and three of them at least are likely to get selected to play in the first team in the next few months. 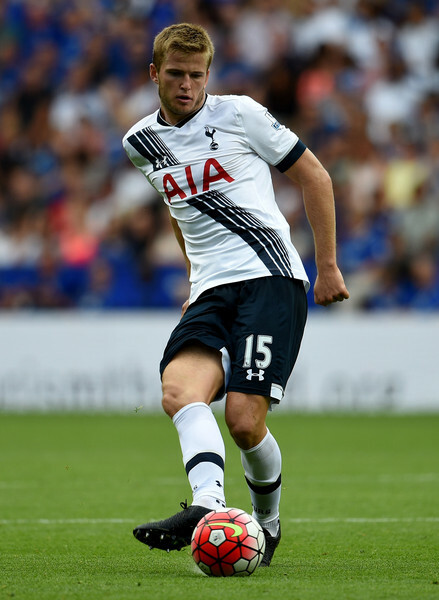 Eric Dier is as important to Spurs as he ever was and will be seen playing often this season . Spurs are 6/5 to win at Goodison this weekend. Seems a little skinny?